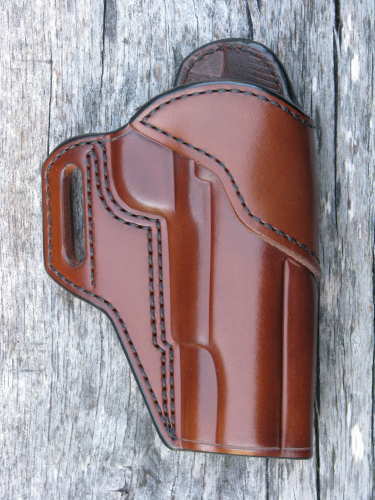 The SLP type holsters have one belt loop on the backside of the holster body and a second loop on a trailing wing. 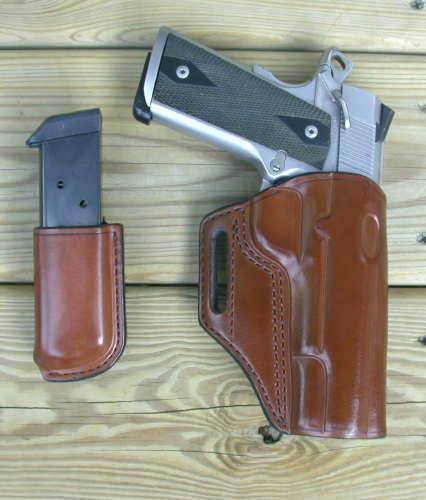 This holster design is a good general purpose holster that works well for concealment or range use. SLP-NR - This is my version of Nelson's Professional. It carries the weapon at 0 degree muzzle rake and attaches to the belt by a slot in the wing extending to the rear of the weapon and a tunnel loop behind the weapon. Designed with no collar reinforcement. Only available for 1911 and BHP pistols. 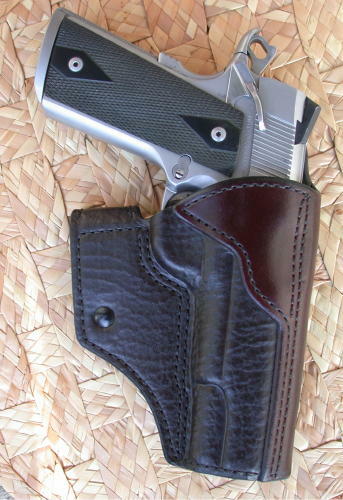 This is a good general use concealment/range holster and may work better than an LP type for people with small waists. Prices start at $165.00. SLP - This holster attaches to the belt by a slot in the wing extending to the rear of the weapon and a tunnel loop behind the weapon. This is a good general use concealment/range holster for pistols or revolvers and may work better than an LP type for people with small waists. Prices start at $185.00. SLP-2 - The SLP-2 is an SLP variant which, by virtue of it's 3 piece constructions, had a full length sight track. 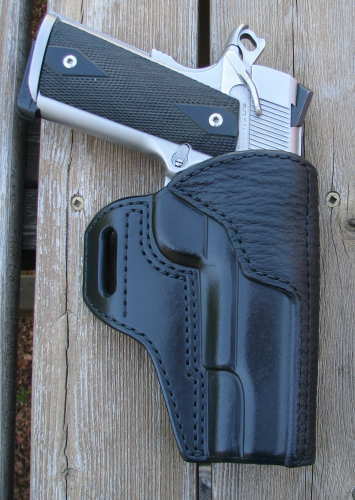 This is a good general use concealment /range holster for pistols. Prices start at $225.00.